There are opportunities to not only learn from Winning Ways equines but from the other farm animals as well. Being around animals and caring for them can be hugely beneficial on both a physical and mental level. It is well-documented that holding, stroking or just being with an animal can reduce blood pressure and alleviate tension or anxiety. Animals can help provide a safe, non-judgemental environment where we can just ‘be’ present with our emotions. Interacting with animals provides a natural space to bond. Animals allow us to reconnect with parts of us that have shut down due to loss. Interacting with animals brings about feelings of wellness, peace, empowerment and self-confidence. Animals give us a safe place to allow healing and adjustment to the changes in our lives. Animal Assisted Learning involves connecting people and animals for a variety of purposes. Activities can range from a dog visiting a long-term care facility; to a child petting a cat, dog or lamb; to learning about and becoming involved in caring for farm animals. The possibilities are endless! 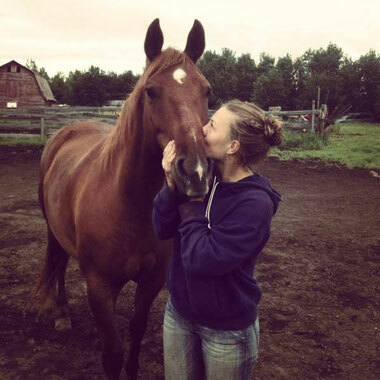 Participants not only have the opportunity to connect with animals, they gain valuable skills that can be transferred to other areas of their lives. Animal Assisted Learning can help with grief recovery for children, youth and adults. Grief is individual and unique and so are the feelings and thoughts each person has about the relationship that has been altered by death, divorce, or for other reasons. Animals are not aware of the ‘cookie cutter’ approach to coping with loss: all they know is what is true in the present moment. The animals will give a fresh approach to processing loss and will allow individuals a safe and peaceful place to just ‘BE’. Activities can be completed individually or in a group setting, and are designed to allow each person an individual experience. Engaging with animals helps foster our relationships with each other and a deeper understanding within. Animals calm us and foster confidence thereby increasing our self-esteem. In other words, animals help us cope better with daily life and be better humans. Animal Assisted Learning is good for people of all ages and developmental stages. Contact Kelly for your Animal Assisted Learning sessions. Animal Assisted Learning sessions can be tailored to the needs of the individual and meet their specific requirements. Please look at Equine Assisted Wellness under the Equine Ventures tab for more programs in experiential learning available at Winning Ways. Walk about—Visit the cats & dogs. 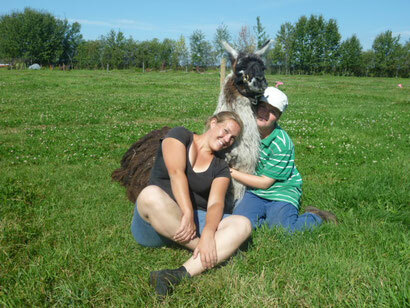 Meet the llamas and take one for a walk; possibly sit on Haley the lady llama. Maybe get to see Buffy through the fence. Meet the ponies and donkey; take one for a walk. 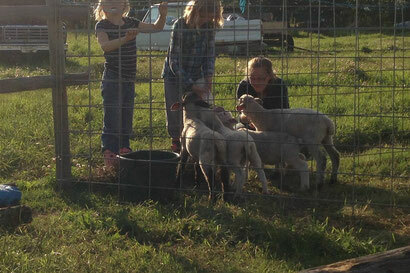 Watch the lambs and ewes; they love to be fed green grass. Check out the ducks in their pond. Visit the rabbits and feed them some dandelion greens. Wind up - sanitize hands.